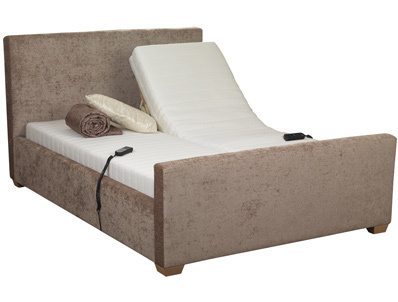 The Sweet Dreams Luxury adjustable bed frame is a fabric bed frame with 2 drop in adjustable base units that is available in double, king and super king size and in a range of quality fabrics. 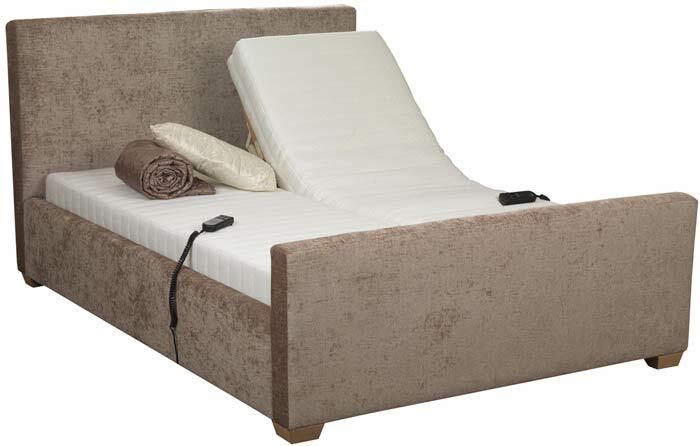 This ultra Luxury adjustable bed is supplied either as frame only or as an upgrade with a option of 3 mattress styles. 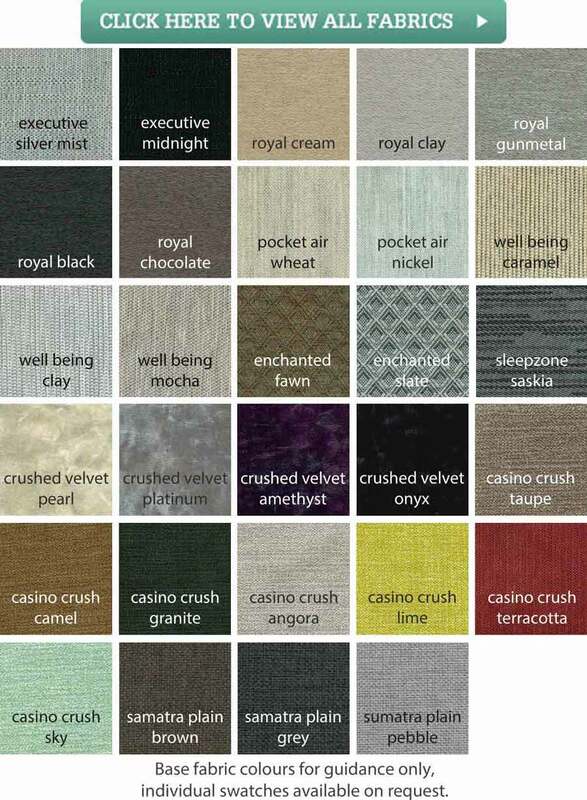 you can choose a Supreme traditionally tufted pocket spring mattress or a Viscomatic which combines a 4 zone bultex foam with 2" memory foam on top or a Dreamatic all bultex foam mattress for those wishing for a firmer feel. The bed frame is delivered flat packed for home self assembly with 2 assembled drop in adjustable base units in each size. Delivery is normally 7-10 days.